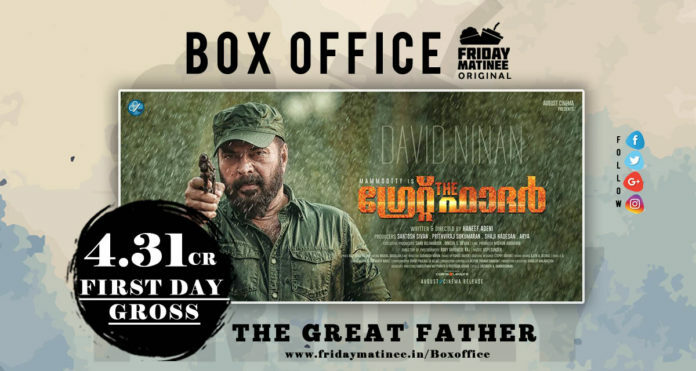 Home Box Office The Great Father – Smashes All First Day Records ! Megastar Mammootty’s latest release The Great Father has reportedly amassed a huge 4.31 crores on its opening day smashing all existing records for a movie at Kerala box office. Movie is produced under the banner of August Cinemas. The exact gross of the movie from 202 plus screens is around 431,46,345 INR wich is updated by Prithiraj on facebook. This is highest ever for a movie in Kerala. The previous Best was Superstar Rajinikanth’s Tamil movie Kabali which grossed around 4.27 from more than 300 screens.Mohanlal’s Pulimurukan held the record for Malayalam earlier grossing 4.08 crores from 214 screens. The Great Father is expected to enter 20cr club in first week. 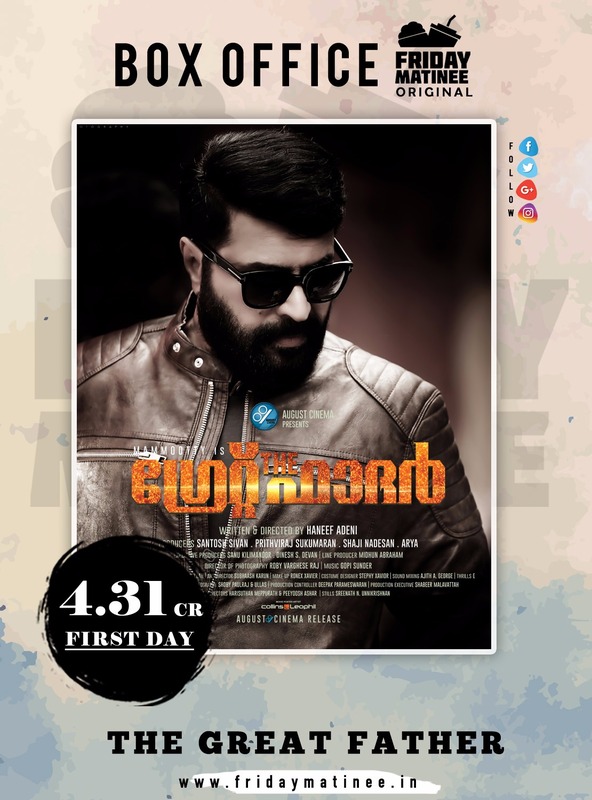 With plenty of releases ahead , the collections are expected to fall slightly than the first week.Mega Star Mammootty is back in play for records.